RAG comes to Germany for the first time, bringing the biggest free conference to our friends across mainland Europe. 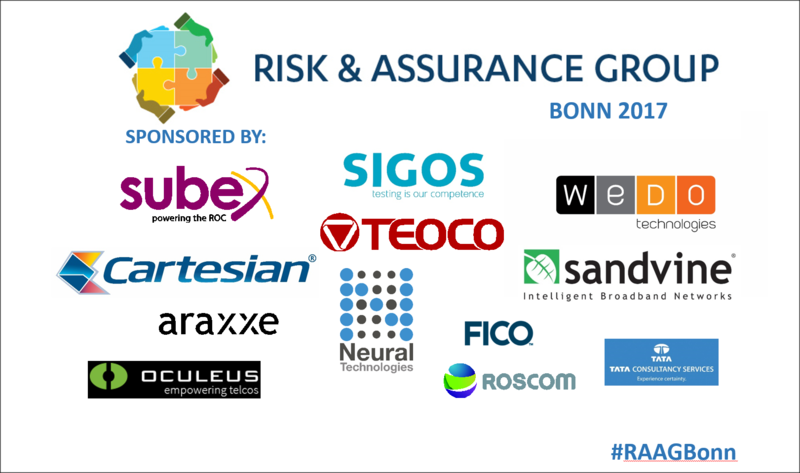 Our 2017 Summer Conference will see RAG venture to Bonn, Germany, and the head office of hosts Deutsche Telekom. The conference is scheduled for Wednesday 21st and Thursday 22nd June. All talks will be given in English. Attendance will be free, but you should book your place as soon as possible, because we will need to limit the number of seats per organisation in order to ensure a balanced and diverse audience. 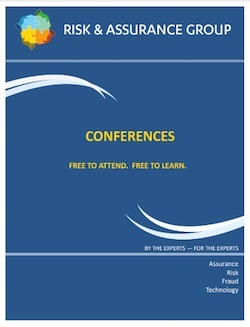 Our event will cover fraud management, revenue assurance, other kinds of business assurance, enterprise risk management, security and credit risk. Unlike other conferences we want to avoid promising speakers until we are confident they can take part, so we share the draft of our agendas as we keep adding new speakers to it. The following schedule provides the most complete picture of the confirmed presentations and panels so far. More are added all the time, so keep coming back for updates. Continue reading below for some description of the agenda’s highlights. Roman Lukes, Vice President of Customer Finance for Deutsche Telekom Group, will open the conference with his welcoming address. Deutsche Telekom RA and Billing expert Gjurgjica ‘Gina’ Pesheva will give a keynote presentation about the need to transform revenue assurance into business assurance. She will describe the business assurance strategy in DT Group and the strategic pillars to achieve its goals. Gina will also talk about the enablers for digital transformation in the context of business assurance. After stealing the show at RAG London, Atul Jain, CEO and founder of TEOCO, will once again fly from the USA to share his insights into business success. You can never be entirely sure what Atul will discuss during his impromptu talks, but past experience suggests it may cover the benefits of thinking differently, the need for superior data, and the advantage of loving your mother-in-law! Rene Felber of Telia Finland will discuss developments in best practice and what he has learned from surveying revenue assurance practices globally. These are subjects that Rene knows well, and which led to him receiving an outstanding contribution award from the TM Forum. Our panel discussion on the use of shared service centres (SSCs) for RAFM work will include Inguna Ievina of Tele2’s Latvian revenue assurance SSC, and Andy Mayo, who was responsible for setting up the fraud SSCs in Vodafone Group. Steffen Öftring, Revenue Assurance Director at SIGOS, will give a presentation about the advantages of active revenue assurance testing. Anthony Sani of MTN Group will join Steffen on stage for Q&A about their recent collaboration on testing of MTN opcos. Christian Lagresle of Orange Group and Mandy Blackburn of Roscom will be amongst the panellists debating how to convince executives to spend more on revenue assurance. Kostadin Taneski of A1 Telekom Austria is going to give a presentation walking the audience through his telco’s RA risk coverage model. Senior risk professional Lee Scargall will present the results of his survey into the risk management and corporate governance practices of telcos, then share his conclusions about how we can do better. Rachel Goodin of Ocado will tell us how her business is responding to the new General Data Protection Regulation (GDPR) and will draw on her experience as a consultant and telco manager to assess the likely impact on European telcos. Fraud expert Dave Morrow will give a presentation that introduces the audience to document forensics. The day’s closing panel will discuss how the assurance thought process can be applied more broadly across the telco. The panelliests will include Anamitra Mukherjee, Associate Director of Revenue Assurance at Optus, and experienced consultant Hanno Allolio. Anthony Sani, MTN Group’s RA and Fraud Executive, will give a keynote presentation on the importance of education for risk and assurance personnel and how MTN has invested in improving education within their group. The latter initiative resulted in Tony being awarded the 2016 Subex Excellence Award for Outstanding Community Contribution. Cassio Sampaio of Sandvine will talk about the fraud and leakage risks for innovative data services. His presentation will discuss: unlicensed IPTV and Kodi usage; major causes of leakage for data charges; and popular methods of data fraud, including header injection, domain fronting, and TV piracy. Ulrich Heister, VP of Fraud Management at Deutsche Telekom, will join Andy Mayo of Vodafone Group for a high-powered discussion about how to evolve anti-fraud strategies to cope with technology change and new business models. A panel discussion about recent developments in the fight against fraud will feature a strong line-up of guests including Duncan Beanland of Vodafone, Simon Walsh of O2, and Arnd Baranowski of Oculeus. Esad Mumdzic will explain how Deutsche Telekom identifies fraud using the advanced technique of graph anomaly detection. A panel will debate whether telcos can do more to reduce their credit risk. The panellists will include Theresa Whelan of COLT, Luke Taylor of Neural and Anat Hoida from FICO. Will Richards, Solution Consulting Director for Subex, will talk about the reasons the industry has struggled to address OTT bypass so far. His presentation will include the results of several recent proof of concept exercises. Merve Sahin, digital security researcher at EURECOM, Xavier Lesage of Araxxe, Emmy Léger of SIGOS, and Rohit Maheshwari of Subex will join a panel debating how telcos should respond to OTT bypass. Evangelist, publisher and WeDo Market Strategist Tony Poulos will give a presentation about cloud-based fraud management. Our ‘wise heads’ panel of distinguished experts will close the event by reviewing the topics discussed over the two days, and giving their views on the state of the industry. Confirmed panellists include award-winning consultant Geoff Ibbett and Andy Harper of Cartesian. The biographies of all our confirmed speakers can be found here. You can review the quality of some of our previous talks by playing clips from our video archive. Bonnox Boarding House & Hotel, In der Raste 7, 53129 Bonn. Conference attendees can obtain a room at a discounted rate of EUR€91 per night if they quote the following booking reference: “Deutsche Telekom 2017”. As well as providing lunch and refreshments during each day, we intend to provide food and a networking opportunity each evening. We will provide further details when they have been confirmed. You can use the form below to register for RAG Bonn. The process is powered by Eventbrite, so you can also register via the Eventbrite website.